When most people refer to the term ‘car leasing’ they are actually talking about Personal Contract Hire (PCH). This guide will explain what it means, how it works, and who it’s right for. With a PCH agreement you take control of a car for a contractual period, usually referred to as the ‘lease period’. Though the car is in your possession, it is not actually yours to own. Instead, you make fixed monthly payments to a leasing company for the duration of the contract. When the contract expires you simply return the car to the leasing company or take out a new lease. As a result you never have to worry about resale values of the car. You never own it, so you can simply return the keys and walk away. Few assets depreciate at the speed of a new car. Theoretically, it starts losing value the moment you turn on the ignition and drive away. This is where leasing, or Personal Contract Hire (PCH), comes in handy. “If it appreciates buy it, if it depreciates lease it,” is a phrase US oil tycoon J. Paul Getty is credited with coining. PCH is effectively a long-term car rental. Many people think it’s only available to businesses, but it’s not. With a lease agreement you effectively agree to hire a vehicle for a set period of time based on a pre-agreed annual mileage. There is an initial rental (usually three, six or nine times the monthly rental), followed by monthly rentals spread over the length of the agreement. The more you put down up front, the cheaper the monthly payments will be, and vice versa. It’s important to understand how your payments are determined. The leasing company will work out the ‘residual value’ of the vehicle – that is its value at the end of the contractual period once depreciation is taken into account. This is why the company will ask you to stick to a strict mileage limit while you drive the car. Read our full depreciation guide here. To determine your payments, the company will deduct the estimated residual value from the retail price of the car, leaving you pay the difference in monthly instalments. At the end of the contract, you simply return the vehicle in an agreed state with an agreed mileage. When you’re searching for a lease deal, they’ll usually look something like the picture below. Here’s a breakdown of what it all means. 1. Monthly price: The fixed monthly rental price. 2. Initial payment: A non-refundable, upfront initial payment equivalent to one, three, six or nine monthly payments. This is made in the first month of the contract, usually after you’ve taken delivery of the car. A larger initial payment (say nine months) will make the subsequent monthly payments lower, or you can pay less upfront and a little more per month. Other charges may apply, including a one-off document processing fee. 3. Contract length: The length of the contract, which is typically two, three or four years. This is usually shows as the total number monthly payments, minus the first initial payment (see above). So, 23 months, 35 months, and 47 months. 4. Annual mileage: The average annual mileage allowance over the course of the contract. An 8,000 mileage allowance over four years, equates to a total of 32,000 miles. Extra charges of a few pence per mile will usually apply if this mileage allowance is exceeded to cover the cost in the reduced value of the vehicle. These charges will be clearly stated in the agreement. Read our annual mileage guide here. 5. Type of contract hire (personal or business): Personal contract hire should always be displayed including VAT. Fixed prices – You can lease new cars at a fixed monthly price and not have to worry about interest charges. This can help you budget. Flexible initial payment – Typically one, three, six or nine monthly payments. Cost effective – The monthly instalments for a PCH agreement will generally be lower than those of a personal loan or PCP and HP. Vehicle Exercise Duty (road tax) – This will be covered by the lease company for the duration of the agreement, but always check. Optional maintenance packages – PCH deals can include maintenance packages so you don’t have to worry about the general upkeep of the vehicle. No depreciation concerns – You don’t have to sell the car at the end of the term so you don’t have to worry about its depreciation. Access to more ‘upmarket’ vehicles – With a personal contract hire deal, you could afford a car that would otherwise be too expensive. As luxury cars tend to depreciate at the slowest rates, these often represent the best deals. Comprehensive car insurance – You will not be able to take out third party car insurance; you’ll need a fully comprehensive deal as the car is not yours. Possible end of contract charges - Fair wear and tear policy will apply, along with a pence per mile charge if you go over the mileage limit. 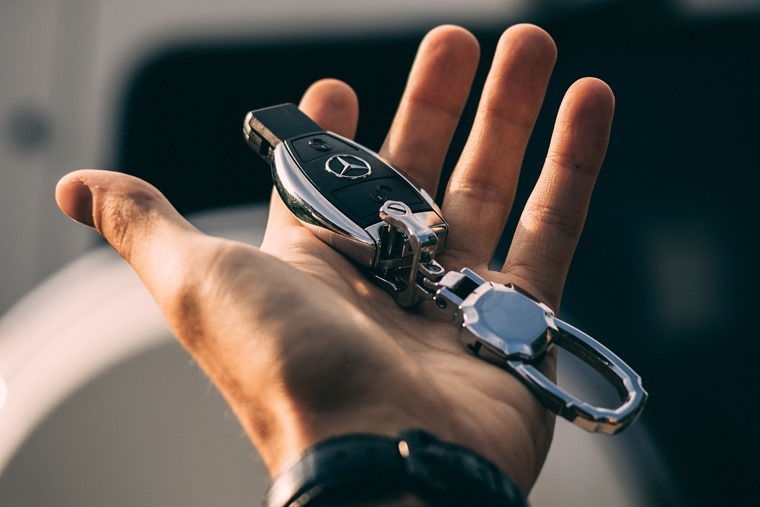 Termination fees: Although you can terminate a car leasing agreement, there will be financial penalties depending on how much is left on your contract. Who is car leasing right for? If you run a business, you should investigate business contract hire as this will include VAT built into monthly payments and additional incentives such as hire rental tax allowances. For individuals, however, car leasing can be ideal depending on your circumstances – just think about how you plan to use the vehicle. If you travel a lot and your mileage is high, the residual value of the car will drop, increasing your monthly payments. However, car leasing gives you fixed monthly payments and you have the option to drive a new car every few years, which is an excellent incentive. So as long as you don’t mind not taking ownership of a vehicle, personal contract hire could be the right solution for you. What do I need to take out a Personal Contract Hire deal? The finance provider needs to know who you are, where you live, and if you can afford to pay for the vehicle. Although criteria may vary depending on which company is providing the finance, generally you will need the following documentation. Proof of ID: A copy of your fill UK driver's license. Proof of address: A recent utility bill dated within the last three months. Income details: Details of your current employment and forms of income. This information will also be used by the finance provider to perform a credit check. A credit check is necessary at all times to protect everyone involved, especially you. This will assess if you are eligible for the vehicle you have enquired about. It may help to use a credit check service beforehand to check your suitability. Read our guide to poor credit vehicle finance here. If you have any more questions, check out this FAQs page, or our Top five car leasing questions. You can compare millions of personal car leasing deals here, and there are also a selection below.